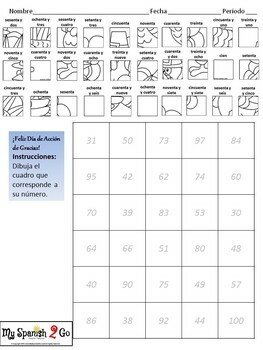 ¡Feliz Día de Acción de Gracias! 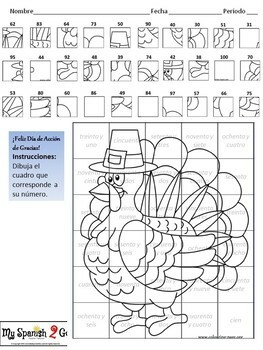 Students draw what they see in the little square onto a grid to create a holiday picture--THANKSGIVING EDITION--DRAW A FUNNY TURKEY! 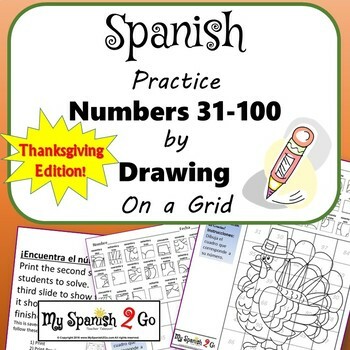 Cute, fun, and great practice for Spanish numbers 31-100. This is a great assignment to keep students engaged in Spanish before Thanksgiving break!